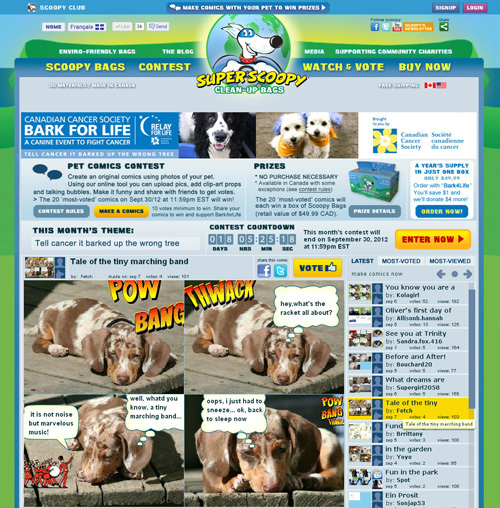 > Created a pet-comics contest to promote a brand of pet poop bags..
> Participants upload photos of their pet/s, add clip-art props, talking bubbles and post a 1-4 frame comics – featuring their pet! 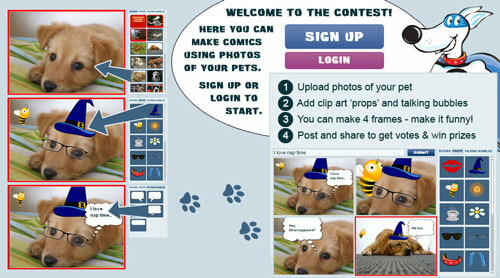 > The contest uses a customized set of the platform’s library of clip-art. ComicReply includes a variety of clip-art libraries with props for many themes.